Losing weight is usually not so difficult. It is perfectly feasible for many people to stick to a diet for a limited period of time, however it’s often much harder to keep the weight off! 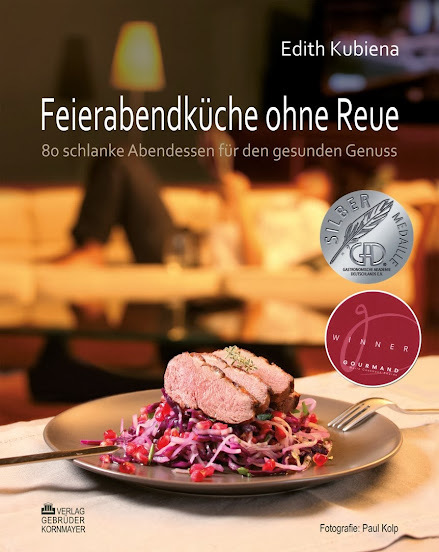 „Feierabendküche ohne Reue“ provides suggestions of how to bring a healthy enjoyment to everyday life through the use of seasonal, slimming and balanced dishes. Dinner is the one meal, especially for working professionals, which they can most easily create themselves. The dishes in this book are not only ideal for dietary needs, but – enjoyed at leisure – benefit both the body and soul. They also taste good at lunch-time. For the growing community of vegetarians, or also flexitarians, who more often than not eat vegetarian food, many recipes offer a balanced vegetarian option. Sufferes of food intolerances and allergies are supported as each recipe is appropriately marked according to the content with the labels -Dairy, Lactose, Wheat, Yeast and Gluten. 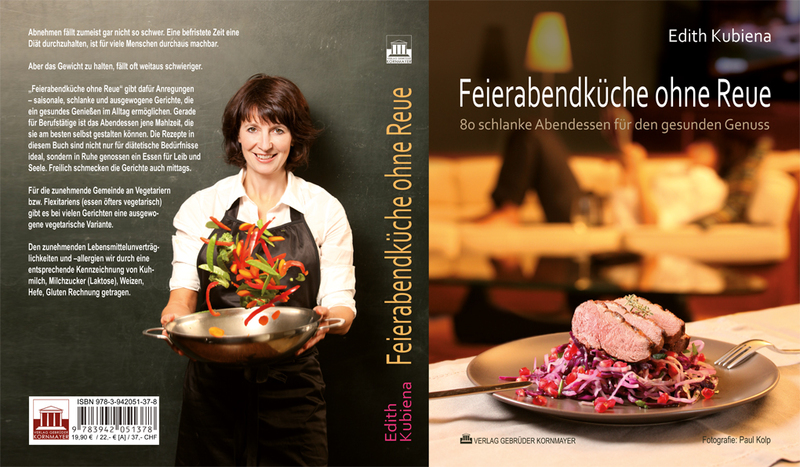 Francophile, dietician and trained chef ,from Burgenland, who has a passion for gardening. Good, healthy food and enjoyment are a part of her everyday life. She has a practice in holistic nutrition consultation (focusing on metabolism, allergies and intolerances, weight control and nutrition in accordance with TCM) and also works as a consultant for the catering industry and on nutrition projects. 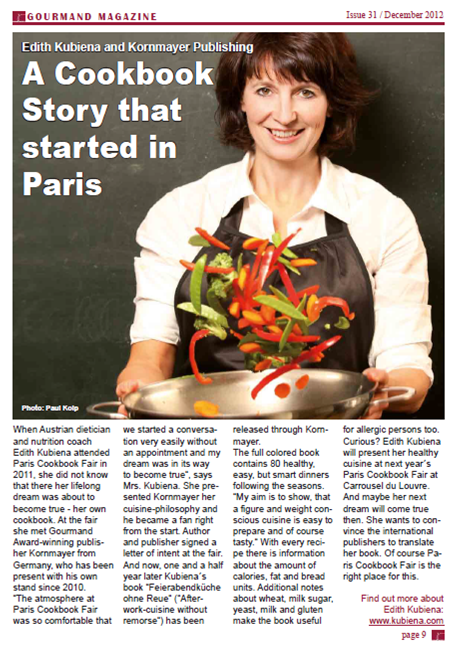 Cooking show and presentation on 22.2.2013 as a part of the Paris Cookbook Fair in the LOUVRE at 14.00. Wunderbar! Schon wieder ein Kochbuch auf dem Markt, das schlank hält. Aber sind wir doch einmal ehrlich - ohne Sport geht es nicht! Ich wünsche Ihnen trotzdem viel Erfolg beim Verkauf Ihrer Bücher. Sport wird überbewertet, das ist reine Industrie mit Diäten und Sportinstituten, in Wahrheit ist das Geheimnis Glück und ein Grundumsatz der nicht ständig verändert wird, sondern mit Gemüse hochgehalten wird. Die Rezepte sind gut beschrieben und können tatsächlich so nachgekocht werden. Schmeckt prima!